Greenhouses, polytunnels, frames and cloches will all extend your gardening potential. In a small town garden you may have only a conservatory or sunroom attached to the house but with proper management you can grow a surprising number of salads and vegetables along with your flowers. In fact you could even grow food at work! The vast blind windowed sides of ferro-concrete office blocks are essentially unused glasshouses. If only one firm encouraged employees to use these advantages, there could be a new interest in work and the essential lessons we all need to learn. The foyers of most buildings would grow some of the coffee needed for the morning break and in so doing, would free land in the third world for more essential local agriculture. The permaculture gurus have pointed out the huge potential in the urban environment. This approach is an all-embracing vision and has much to inspire the organic gardener, but anyone can start with making their own living space productive. Even a windowsill can be used to grow herbs, and a glassed-in porch could house tomatoes in pots or a climbing cucumber plant. And, of course, in these protected conditions you could grow a galaxy of frost-tender flowers. The critical point about any growing under cover is that you are in complete control of the growing environment and therefore have complete responsibility for the conditions that your plants have to put up with. You can regulate temperature, soil quality, moisture and light levels, but also less obvious things like how clean the environment is, what kinds of pests are allowed to gain a foothold, humidity levels and air movement. If your covered area is of any size it is useful to keep a diary just as with the vegetable garden. Because things grow faster under cover there is more scope for a succession of crops and if you have the space it is even useful to practise some sort of crop rotation. The confined soil in a greenhouse or polytunnel bed would be even more likely to get “tomato sick” or build up soil fungi from a succession of the same family of plants. Even a minimal three-year rotation, perhaps moving plants between two side beds and a centre bed, or replacing soil altogether every third year, would help prevent this build up. Keeping notes of these changes, a planting plan and notes of previous crops—particularly how long they occupied space and what return there was—will help you make best use of the space. In the autumn, when the summer bulk crops are finishing off, a range of salads can be sown that will go through the winter, including hardy lettuces, land cress and some of the oriental salads. Polytunnels and greenhouses are generally thought of as the site for the vegetable fruits such as tomatoes, aubergine and peppers and all the squashes, perhaps with a few salads filling in the gaps. In fact, you can grow many more vegetables, particularly early in the year before the more tender plants are ready. However, if you are to get such a good return from the space it is vital to keep the soil well fed and adequately watered, and to pay attention to hygiene. Every time you take a crop off a patch of earth you are taking nutrients out of it and if you are to follow on with another crop you will need to give the soil a boost. The same applies out in the garden. Of course, under cover, the crops are likely to be more intensive, possibly more greedy feeders, like the vegetable fruits. There is also less opporunity for the soil to renew itself through incoming earthworms, natural mulching and the action of air and rainfall. Thus, you must feed the soil well, with compost or well-rotted manure, but avoid concentrated liquid feeds. Ensure adequate watering if there is any risk of plants getting an excess of nutrients without the normal garden control of rain washing them out. Leaf mould is good for mulching and to improve the structure of the soil without putting in a lot of extra nutrients. Watering is also largely a matter of common sense. Plants will need more water when they are growing strongly and producing a lot of fruit, and when conditions are hot and sunny. Plants in pots are particularly vulnerable and will need daily attention. Avoid watering in cold conditions or last thing in the evening. The slugs will run rampant during the night and fungal diseases will be encouraged. Pest and disease control in the greenhouse and polytunnel is included in Pests, disease and weed control, but the most important general preventive, once you have given your plants a strong start with the correct soil conditions, is to ensure good hygiene to prevent the build up of problems. Keep an eye on your plants, removing any suspect leaves or plants. 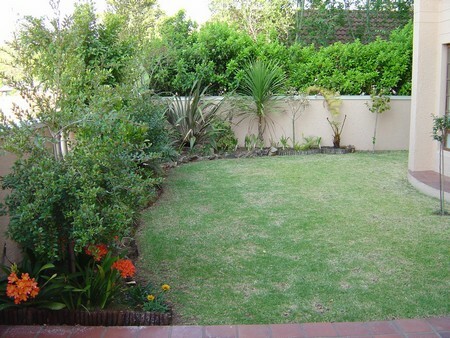 Keep the area generally tidy, clearing up old plant material and old pots. Clean the glass or plastic once a year, preferably at the end of the main growing season. Some of the worst garden pests, such as carrot fly, and larger predators such as birds are, fortunately, excluded from the tunnel or greenhouse unless you are very unlucky. There are, however, specific indoor pests that you will need to look out for, or better still, take preventive action against. Correct ventilation and watering are important here. Good ventilation will prevent the build up of fungal diseases, and correct watering is necessary because plants need moisture fed to their roots and a degree of humidity in the air. Red spider mite, one of the worst pests of protected cultivation, thrives in dry conditions so keeping the humidity up will discourage it. Mulching the beds is an excellent way of keeping down weeds and keeping the soil moist. However, if it is a dry mulch, such as hay or straw, you need to be sure that you don’t just direct water under the mulch to the roots but also spray the foliage and the floor of the house (don’t spray young leaves in full sunlight and tol avoid scorching). Even a small cold frame will be useful for extending your growing season by getting seedlings started or providing you with salads through the winter. The same advice applies to hygiene and soil conditions. Because it is a much smaller area, pay particular attention to ventilation, propping the top up on hot days and shading in bright sun. Cloches are basically mini-greenhouses that are small enough to move around as you need them. They are most useful in the spring, to pre-warm the soil for crops or protect young seedlings and, in the autumn and winter, to extend the cropping period of vegetables. They provide a convenient way of hardening off plants, and also protect them from birds, cats and rabbits. There are several different designs available and some of them could be adapted for use later in the year using insect netting instead of plastic.